XPO Logistics has won a contract to expand its management of transport operations in France for Toyota Material Handling. This contract will develop the current partnership between the two companies. XPO currently manages loading and unloading at several Toyota sites in France as well as delivery to customers across the country. XPO has developed a customised solution for end-to-end visibility, tracking and returns management. Its technology team has designed a mobile application specifically for Toyota, with full network integration and a quality control capability. 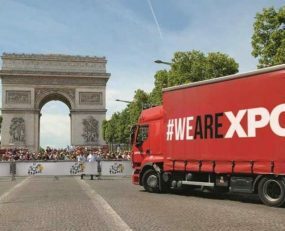 The contract expands on the current partnership between the two companies, under which XPO manages loading and unloading at Toyota’s sites in Bussy-Saint-Georges (Ile-de-France), Dagneux (Auvergne-Rhône-Alpes) and Nantes (Loire-Atlantique), as well as delivery to customers throughout the country. “We’re proud to help Toyota Material Handling grow their service portfolio in France, including their new short-term rental service. Our team is excited to take on these new responsibilities and deliver a seamless experience,” added Luis Gomez, Managing Director for Transport, XPO Logistics Europe.